We´ve seen popping around London & online. What are these little hooks used for? 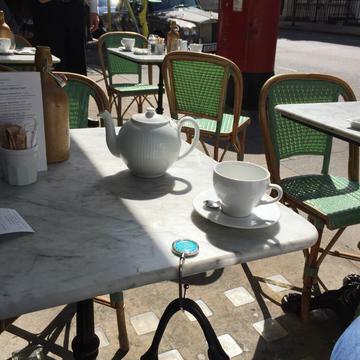 The handbag hook (or bag holder) allows suspending at the edge of a table, a counter, a desk, any object that would have the annoying tendency to end up at your feet. It allows you to hang your handbag, your laptop bag, your umbrella or any other object that would tend to drag at your feet or clutter your knees! 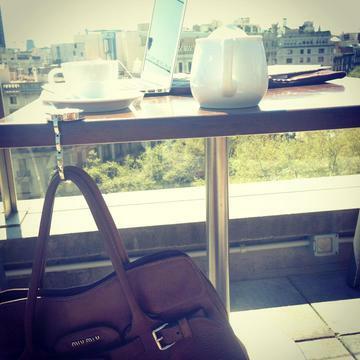 In the restaurant, at the terrace of a café, at the hairdresser's or simply at the office use it to have your bag at hand You can use the handbag hook everywhere! Small, very simple to use, this little gem handbag hook will accompany you on a daily basis and will quickly create envy! Chic: trendy or glamorous, there is necessarily a bag hook that suits your style. You can also match your handbag hook to your bag or outfit! Practical: In its velvet pouch the handbag hook slips into all bags, even the smallest ones! Safe: Its non-slip surface adapts to all surfaces and your bag remains in sight. - Unfold the handbag hook and unroll it. - Pull the extension bar. - Rotate the hook down and put the bag hook on the table. 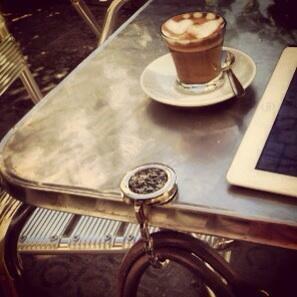 Thanks to its anti-slip and protective surface, the handbag hook adapt to all surfaces (glass, wood, metal ...). It is the weight of your bag that will hold the disc in place on the table. For bags with a large shoulder strap, simply insert the hook into the ring (or rings) located at the base of the shoulder strap. You can also simply roll up the shoulder strap. Light, they weigh only between 40 and 80g! For each model My Bag Hanger offers a free velvet pouch.